Will Germany take back ‘IS’ fighters captured in Syria ? US President Donald Trump is demanding European allies repatriate foreign “Islamic State” fighters captured in Syria. The call has sparked a heated debate about taking back German citizens who fought for IS.US President Donald Trump over the weekend urged European allies to repatriate hundreds of foreign “Islamic State” (IS) fighters captured by US-backed Syrian Kurdish forces.“The United States is asking Britain, France, Germany and other European allies to take back over 800 ISIS (IS) fighters that we captured in Syria and put them on trial,” he said, adding that otherwise “we will be forced to release them.”“The US does not want to watch as these ISIS fighters permeate Europe, which is where they are expected to go,” Trump said. The US demand has triggered a debate in Germany over repatriating citizens who joined the terrorist group in Syria and Iraq.Responding to Trump, German Foreign Minister Heiko Maas said Sunday that the US demand was “extraordinarily difficult to carry out.”The repatriation of IS fighters, their wives and children would only be possible “if it were ensured that these people were immediately put on trial and also detained upon arrival,” he told public broadcaster ARD on Sunday.“So long as that is not the case, I find it extraordinarily difficult to carry out,” he said.Maas explained that if someone has German citizenship, then they are entitled to return to Germany. However, since Germany cut off diplomatic ties with the Syrian government and does not recognize the Syrian Kurdish autonomous region, it is not possible to check detainees’ identity, he said. European governments have been wary of repatriating their citizens who went to fight for an IS “caliphate” in Syria and Iraq, fearing the political repercussions of bringing back extremists following a series of jihadi-inspired attacks in France, Germany and elsewhere in Europe.However, an impending US military withdrawal has created rising uncertainty about the security situation in Syrian Kurdish-controlled areas,The US-backed Syrian Democratic Forces (SDF) have captured around 800 fighters, 600 women and more than 1,200 children from dozens of countries in the Kurdish-led force’s offensive against the nearly vanquished IS. Syrian Kurdish authorities say they are unable to handle the burden of detained foreign IS fighters and have long called on countries to take back foreign fighters. 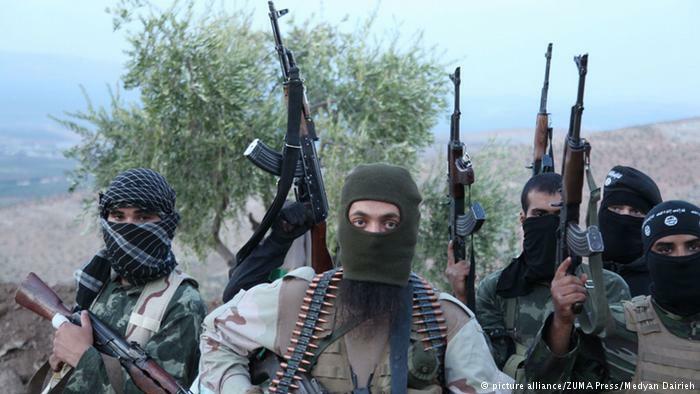 They warn that their region is unstable and there is a risk captured IS fighters could flee from detention camps and return to terrorize Europe.The German Interior Ministry estimates around 1,000 people left Germany to join jihadi terrorist groups in Syria and Iraq since 2013. About one-third of these people have already returned to Germany, some of whom have been prosecuted or placed in rehabilitation programs.Another 270 of the German women and children are still in Iraq or Syria. Some 75 percent of the children are believed to be under the age of three. According to the Interior Ministry, “a double-digit number of men, women and children from Germany are in the custody of Kurdish forces of the Syrian opposition,” but German authorities lack specific information.In Iraq, German IS members have been put on trial. However, Germany has no official relations with the unrecognized Syrian Kurdish administration and any court ruling from the entity would be invalid under international law. The Syrian Kurds have said they are unable and unwilling to put foreign IS fighters on trial. Armin Schuster, a domestic policy expert from Chancellor Angela Merkel’s Christian Democrats (CDU), told Der Spiegel that detained German IS fighters should be brought back from Syria and tried.“We can not expect other countries to take in threats that we want to deport, and at the same time refuse to take back German IS terrorists from Syria,” Schuster said. “Germany has a responsibility for its citizens, even if they have committed serious crimes.”Green Party foreign policy spokesperson Omid Nouripour told radio outlet Deutschlandfunk that Germany should take back captured IS fighters and hold them accountable. “We are a constitutional state, and that is exactly how we should act,” he said. On ARD, Dietmar Bartsch, chairman of the Left Party parliamentary group, said that “if they are German citizens, then they have to come to Germany and should also be brought to trial.”However, the Interior Minister of Bavaria, Joachim Herrmann, said he had reservations about allowing IS members to return to Germany. He said it needed to be ensured that former IS members would be put before a court and not released for lack of evidence that they committed crimes abroad.The security spokeswoman for the business-friendly Free Democrats (FDP), Marie-Agnes Strack-Zimmermann, said Germany should prepare to take back IS fighters in an organized manner and ensure potentially dangerous people did not simply enter the country.